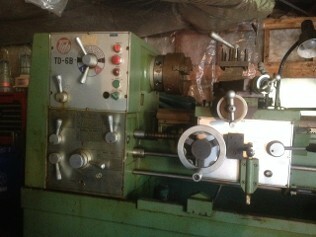 Tida model TD6B precision inch and metric lathe. 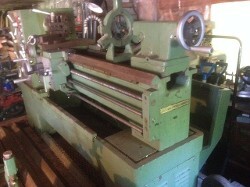 15" swing over bedways, 9" swing over cross slide, 24" swing over gap, 11 1/2" width of bed, 2 1/16" spindle bore, D1-6" spindle nose camlock, 80 to 2020 RPM spindle speeds, 5 hp. 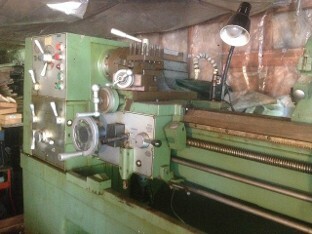 spindle motor, 4 MT. 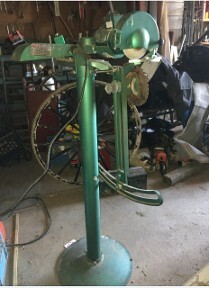 tailstock, 42 inch centers, coolant system with pump and splash guard, electronic foot brake, 4 jaw 10" diameter chuck, 3 jaw 8 inch diameter chuck, 12 inch faceplate, steady rest, follow rest, square toolpost and tooling. 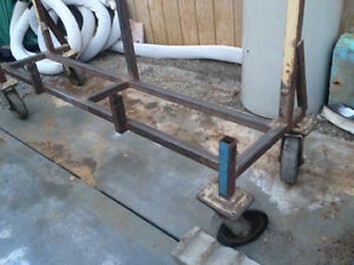 Approximate weight is 3150 lbs. Electrical is 550 volts, 3 phase, 60 cycle. 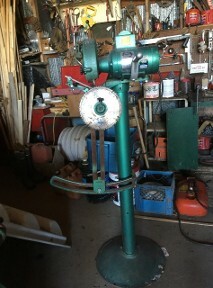 It is sitting on a trailer in the garage ready to go. 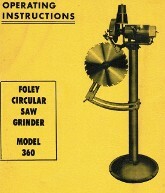 Foley Belsaw Circular Saw Grinder Model 360, It sharpens blades up to 42-inch diameter. (Sold). 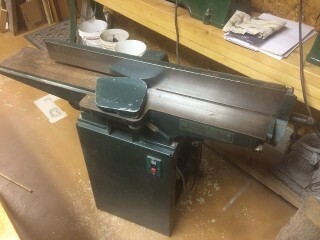 it takes 8' 11" x 3/4" blades, asking $420. 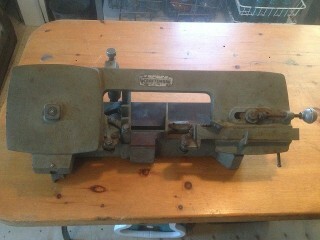 Milwaukee heavy duty die grinder, model 5195, asking $140. 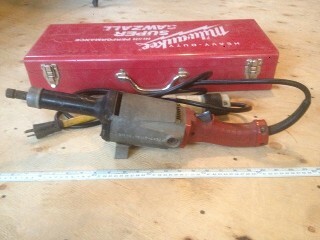 Milwaukee sawzall, model 6507, asking $50. 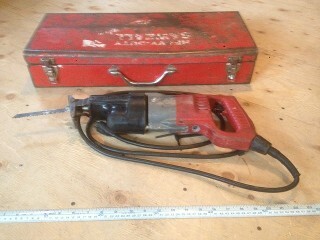 Milwaukee 120v. 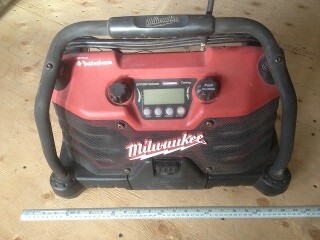 jobsite radio #49-24-0280, it uses the older model 12v to 28v lithium-ion batteries and works great pluged in, (Sold). 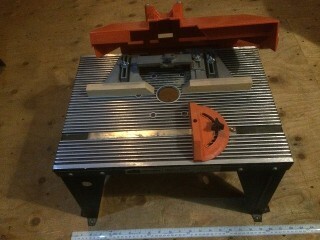 Older heavy duty 10" table saw with stand, top fence needs work, its loose. 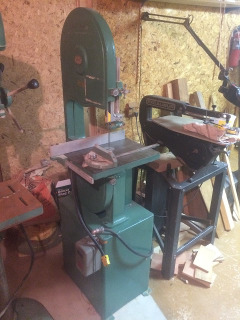 It has a newer 1 hp. Motor, it needs a new switch, but can be started with the old switch. 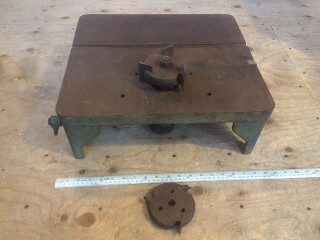 It has a heavy cast iron top with the cast iron extensions. (Sold). 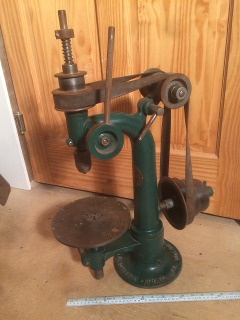 Small cast iron table top spindle moulder with two different moulding cutter heads with removable blades, has 5/8 inch spindle, has a triple pulley with bearings in good shape, measures 18 inches wide by 16 inches deep by 6 1/2 inches high. 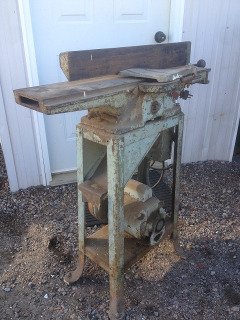 Its pretty heavy duty for a small machine, it weighs about 55 lbs. asking $100. 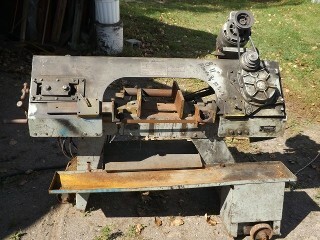 Craftsman, cast iron, tabletop, 6" horizontal steel cutting bandsaw, model #10822920, has no motor, (Sold). 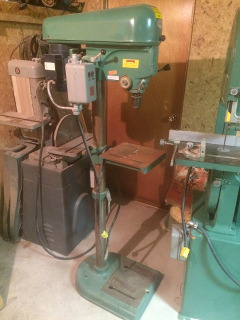 Beaver Rockwell radial drill press, serial #49321, with stand, (Sold). 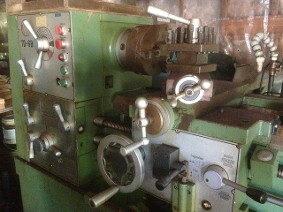 General Mfg. 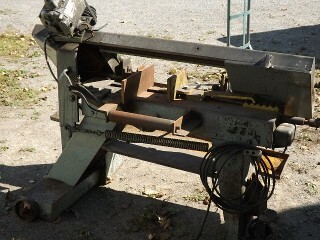 Co. Ltd. industrial band saw,, serial #19E1096, comes with fence & miter slide, 14" throat, 7 1/4" cutting depth, 120 volts, Made in Drummenville, Que. (Sold). 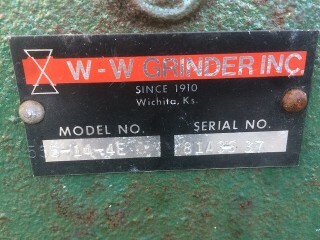 General Mfg. 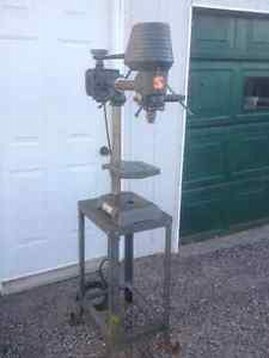 Co. Ltd. industrial drill press, serial #34E2159, 10 speeds, 120 volts, 10" x 11" table, Made in Drummenville, Que. (Sold). 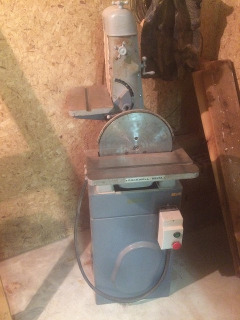 Rockwell Delta industrial 12" disc & 6" belt sander, model #31-710, serial # E11462, comes with lots of new 6" x 48" sanding belts & 12" sanding disc, Made in Pitsburg, PA. USA, (Sold). 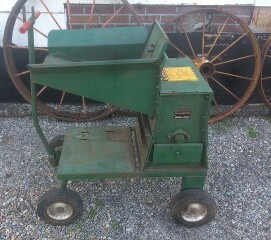 Astro International Jointer, model #WJ-6m, 42" x 6" bed, 120 volt, (Sold). 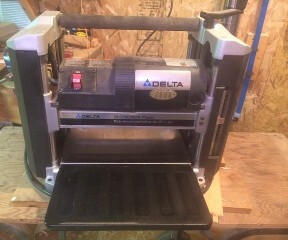 Delta Series 2000 12 1/2" planer, model #22-560C, (Sold). 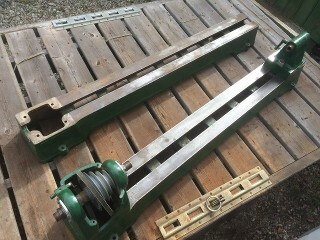 Two vintage heavy cast iron beaver 53" wood lathes, was set up as bed extension end for end for tail stock to cut 8 1/2' long post, asking $320. 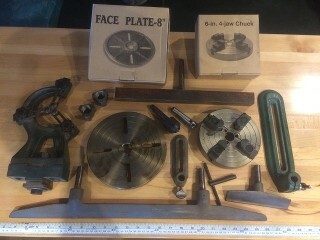 for both with complete tooling on right..
Wood lathe attachments, steady rest, 6-inch 4-jaw chuck, 8-inch face plate, spur drive, live center, 6", 15", and 24" tool rest, tool rest holders, sold with purchace of wood lathes.on left. 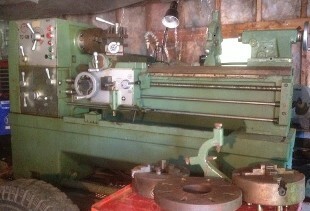 1921 Myers Machine Tool, Columbia Pa. 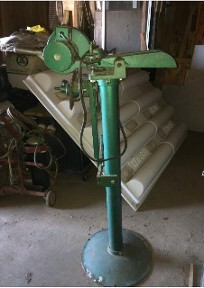 Drill press, http://vintagemachinery.org/mfgindex/imagedetail.aspx?id=5410 weighs 55 lbs. 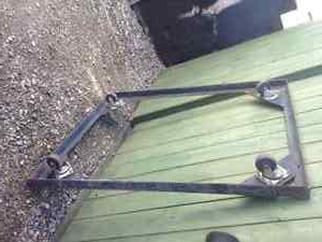 asking $85. 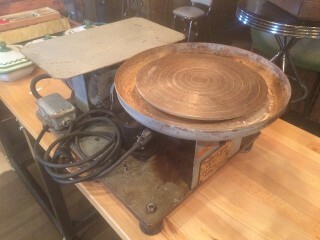 Heavy duty professional potters wheel, electric 120 volts, 11" diameter wheel, foot switch, (Sold). 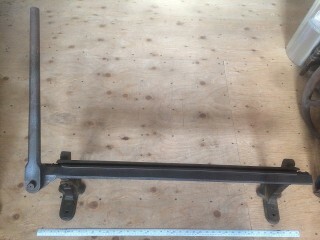 Antique 36" sheet metal bending brake, heavy duty model made of solid steel and cast iron feet, it weighs about 60 lbs. 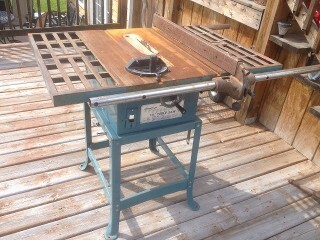 asking $220. Van Norman Co. Springfield Mass. 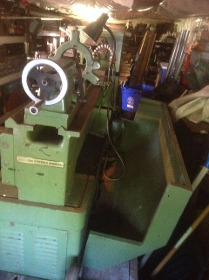 USA, serial #2L-1883, Machinist rotary table with 12" diameter top, It weighs about 130 lbs. 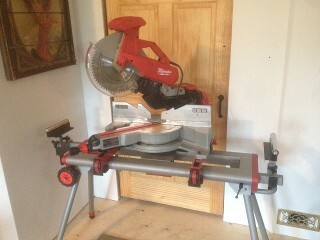 asking $380. 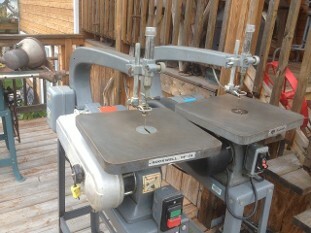 Craftsman router table #9-24179 Model #171-25443, it measures 18" x 13" x 11" high, with cast aluminum top and dust collector attachment, it weighs about 12 lbs. asking $45. 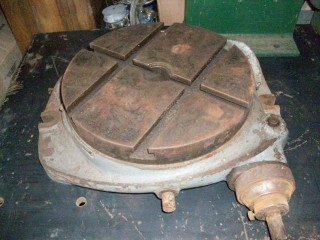 It is in good condition, very heavy duty, needs a 5 hp. 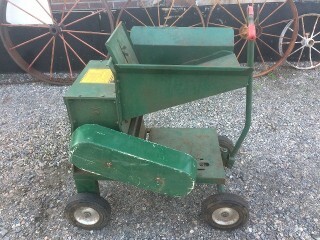 Motor, great for making grain feed or compost and topsoil for a greenhouse. (Sold). 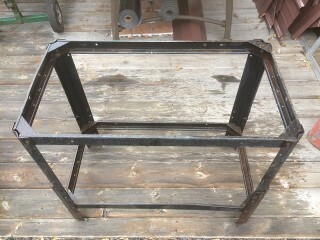 Steel frame machine stand, it measures 30" x 16 1/2", the height is ajustable and it has the holes for casters on the bottom. Asking $45. 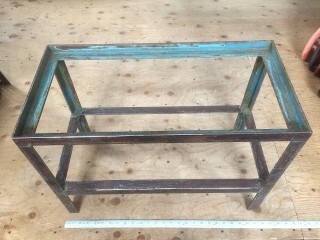 Vintage steel industrial table stand, it measures 25 1/2" x 12 5/8" x 18 1/2", it weighs about 30 lbs. asking $45.